The Midsummer 5K Run features a fast and flat road race, a 5K Run & Walk, and a Kids K. The race will begin at LYSB located at 59 Lyme Street and wind through the beautiful streets of the village. The race is held on the morning of the renowned Old Lyme Midsummer Festival, kicking off a weekend of cultural, artistic and community events at multiple sites throughout Old Lyme’s Historic District. Pricing for the 5K (run and walk) is $30 for adults, $15 for youth (18 and under). Registration for the "Kids K" fun run is $10. 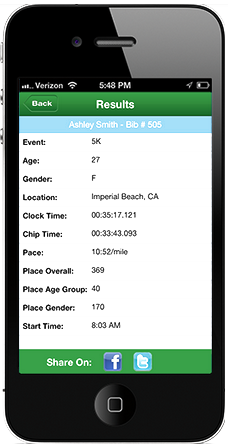 Chip timing will be provided by Timing Plus New England for 5K runners. Commemorative T-Shirts will be available for the first 200 registered participants. The overall top three men and women will be recognized as well as the top age group winner in the men and women divisions. Divisions will be broken down as follows: Youth 14 and under, 15 to 19, 20 to 29, 30 to 39, 40 to 49, 50 to 59, 60-69, and 70 plus. Online registration closes at 11:59 p.m. on Wednesday, July 24th. On site registrations accepted up to race day. Proceeds from the Midsummer 5K will benefit the Timothy P. Buckley Memorial Fund supporting mental wellness and addiction prevention. Tim Buckley was a loving young man with a big heart. He had an incredible mind, a quick wit, an infectious laugh and a beautiful smile. Tim struggled with anxiety, depression and substance abuse. The brain disorder of substance abuse claimed Tim’s life, yet it did not define him as an individual. Tim’s gifts and talents were many and his beautiful life, while short, touched so many from coast to coast. One in five Americans lives with a mental health condition. One in seven Americans will experience a substance use disorder. Addiction and accidental overdose are now the leading killer of people under 50 years of age. With your support, we can continue to provide quality programming to support our youth and ensure healthy outcomes.